Titled "War for the Atlas," the DLC will add new endgame content that tasks players with combating a new threat. If you're unfamiliar with Path of Exile, the "Atlas of Worlds" is a map system that allows players to face new (randomized) challenges once they've completed the main game. That entire system was added in the "Atlas of Worlds" DLC last year, and this year, with "War for the Atlas," players will find new challenges. Two forces, the Shaper and the Elder, are vying for control over the Atlas of Worlds and players will, essentially, be caught in the middle. What this means, as far as in-game content goes, is players will be able to battle for either force and allow that side to control more of the map. If the Elder controls more, he will create new bosses and, eventually, appear on the map as a new boss encounter. It's a pretty interesting idea/concept. The Abyss Challenge League - Fight foes that spill forth from the underworld beneath your feet as you journey across Wraeclast. Claim valuable new Abyss Jewels to customise your characters and items in new ways. More information about the DLC can be found on the official site. 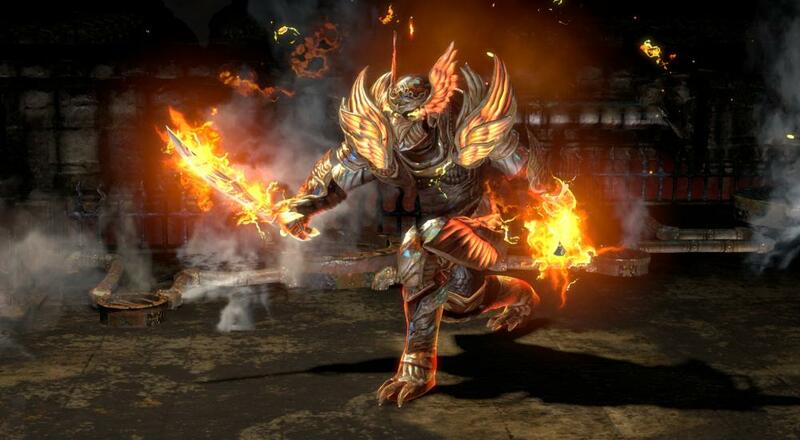 Path of Exile is available on PC and Xbox One. It is a free-to-play game with most of its money purchases being focused on cosmetics (there are inventory expansions available to buy). It supports up to six players online throughout the campaign and endgame activities. Page created in 0.3468 seconds.